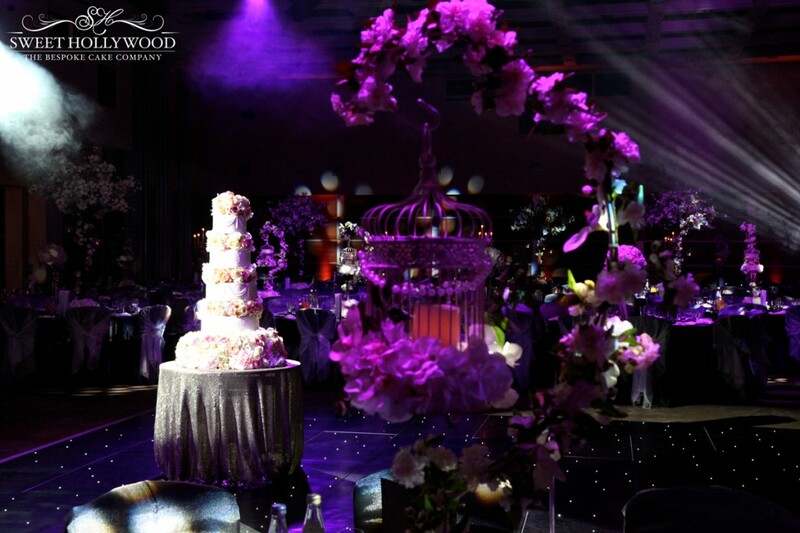 London based wedding cake bakers Sweet Hollywood were delighted that we were selected to make a beautiful bespoke wedding cake for our Sikh bride and groom Amandeep & Nav Rai’s wedding reception @ Novotel Hammersmith – London. 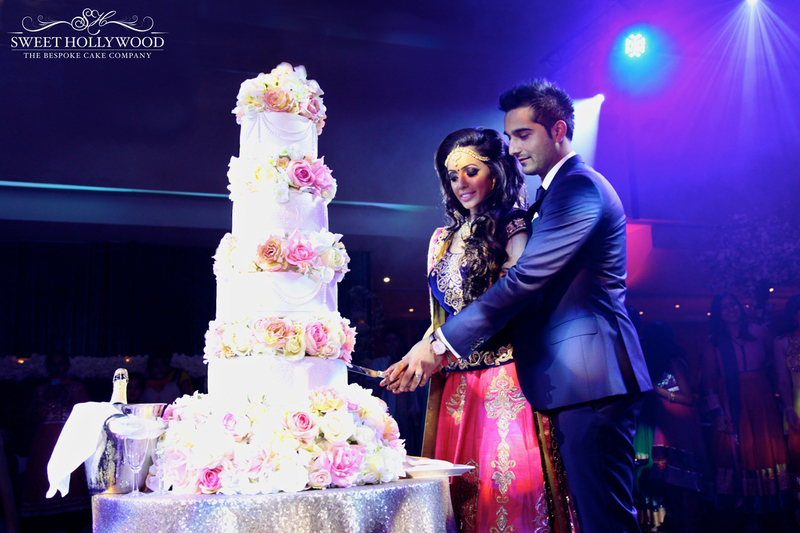 The glamorous couple wanted something spectacular to match their floral theme and most importantly wanted an eggless Luxury asian wedding cake. 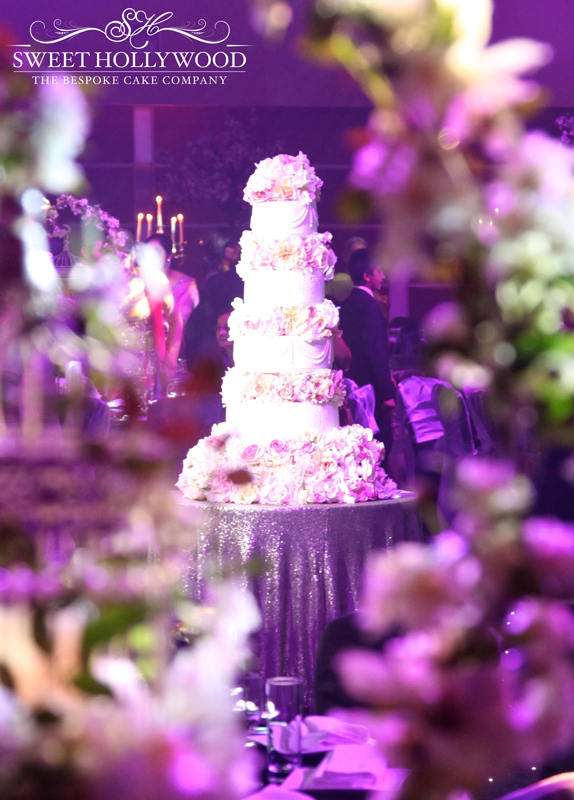 With our clients requirements in mind a beautiful four tier wedding cake was created and we incorporated luxury floral separators to give the wedding cake beautiful height. 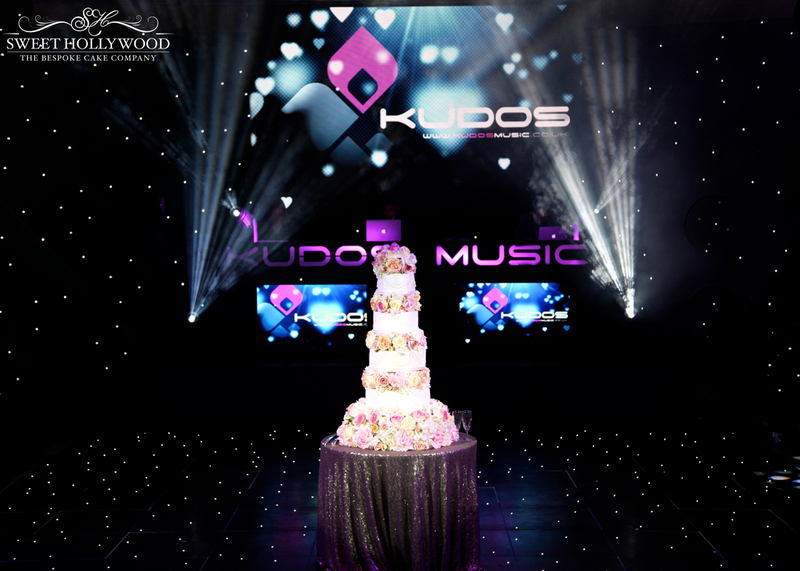 Leading wedding suppliers who added a touch of magic to the Asian wedding reception included asian wedding caterers Premier, Sound, lighting and production by asian wedding DJ’s Kudos Music / DJ H, Dhol entertainment by Drumline, stunning decor by Essential Event Group, Photo booth by Platinum booth events, hair and makeup by Jawaad and whilst these images were taken by Sweet Hollywood the official photographers were East West Photography. 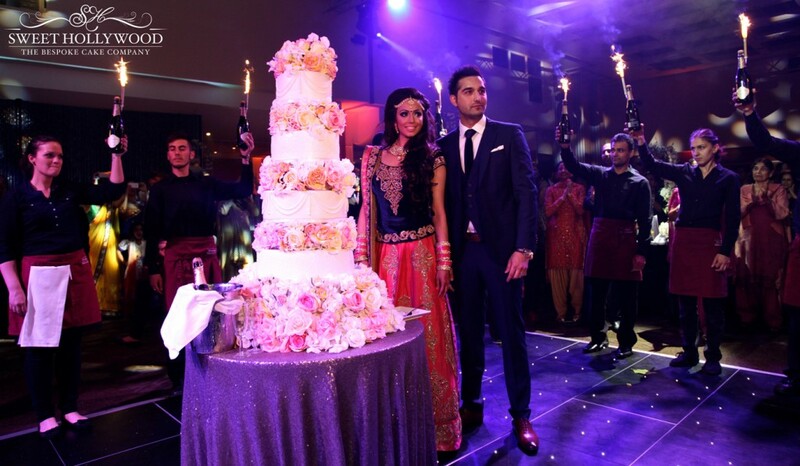 Eggless Asian wedding cakes in London have never looked so good! 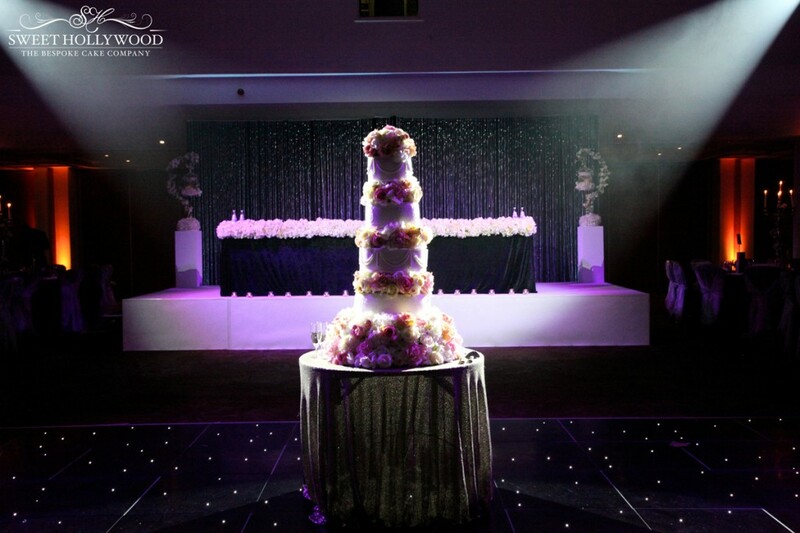 Bride and groom cut into their bespoke wedding cake with our Wedgwood Vera Wang Silver cutting knife. 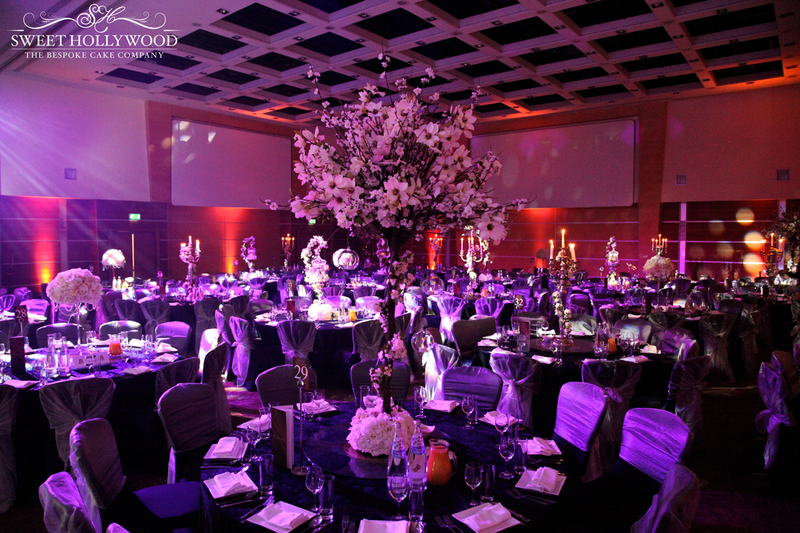 Champagne bottles float across the room as the premier waiting staff add to the drama of the spectacular asian wedding reception. 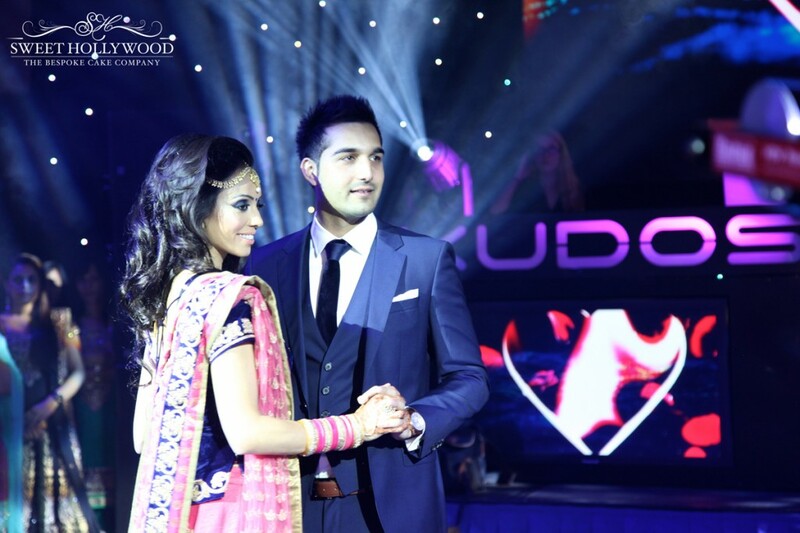 Sikh bride and groom Amandeep & Nav taking to the dance floor for their first dance whilst DJ H of kudos music sets the tone. 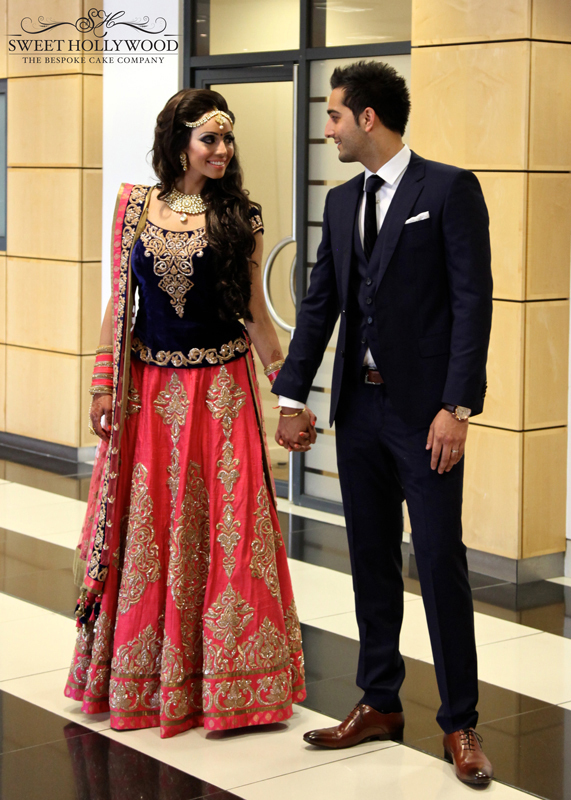 Before you leave us please show your support and hit the LIKE button.